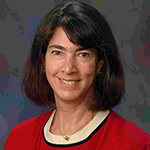 Jo Carol Hiatt, MD is Chair of the National Product Council for Kaiser Permanente (KP) and also chairs KP’s Inter-Regional New Technologies Committee. She is a partner in Southern California Permanente Medical Group (SCPMG) and is currently Assistant Medical Director, SCPMG Business Management. Dr. Hiatt chairs Southern California’s Medical Technology Deployment Strategy Team as well as the Oversight Committee for Integrated Medical Imaging. Dr. Hiatt joined Kaiser Permanente as a general surgeon at Panorama City. She subsequently served as Chief of Surgery at that location and was elected to the SCPMG Board of Directors. Dr. Hiatt was appointed Regional Assistant Medical Director of Clinical Services, and has since assumed a number of regional and program-wide roles. She served two terms on the Medicare Evidence Development & Coverage Advisory Committee. In 2013 she was designated an American College of Surgeons Health Policy Scholar. Dr. Hiatt was also a member of the National Medical Device Evaluation System Planning Board. Dr. Hiatt received her undergraduate degree from Stanford University and her medical degree from Duke University. She trained in general surgery at UCLA. In addition to her clinical degree, Dr. Hiatt received an MBA from UCLA’s Anderson School of Management. She presents internationally on KP’s technology assessment, selection, and implementation processes.